How does money motivate people? A motivation should act as a fuel to work hard. If there is nothing to inspire, you may not be able to give your best effort. For some people, money is the ultimate motivator; because to acquire something, you need money. However, money doesn't work as the best motivation for everyone. It is not the only thing people always want. Sometimes, people need recognition and appreciation to feel rewarded. However, in this article, we will find out how well money motivates people. Why do people want to possess a lot of money? Most of the people want to acquire a lot of money to get the freedom. People set financial goals to achieve the financial freedom they desire. People define freedom as possessing enough money to buy everything they want. When they have enough money, they don't need to worry about their financial security, love, respect, leisure, etc. Possessing enough money ensures a good life; it is a natural human thinking. What does a businessman think about money? Most of the successful business tycoons say that "The primary motivation has been to build something lasting, not to make a lot of money." For the successful businessmen, money cannot be the best motivator. They think, the emotional sources of motivation work best, like the respect from the peer group and recognition from subordinates. Money becomes the strong motivation for people because it is measurable and appreciable. But if the prospect of possessing a lot of money becomes the prime goal, then it builds self-serving emotion in people or they become greedy. Does money motivate to work harder? How much should people earn to manage their livelihood? Even if you get unlimited options to earn dollars, you will not be able to guess the ideal salary for you. Apparently, people think the higher the salary, the better the work. But as per the scientific evidence, "The link between compensation, motivation, and performance is much more complex". People will probably not enjoy their work if they have to decide how much they should earn. As per the meta-analysis by Tim Judge and colleagues, "The association between salary and job satisfaction is very weak". At work, the good atmosphere, top technologies, interesting products, well-organized processes, and recognition are more desirable than money. If employees are highly paid, then they expect other benefits instead of monetary reward. For example, an award ceremony, a club membership, a travel ticket, complimentary dinner, a car, a window office, etc. The monetary gift may raise an unhealthy competition in the office. Employees may feel overburdened or forced to take part in the competition. Some employers reward extra money to the employees who perform better. Most of the employers know that the motivation for the employee comes in various forms (awards, appreciation, and perks), but the best motivator is the cash reward. Because people work to earn; so it is quite obvious they expect some extra money when they perform extraordinarily. That extra money helps to feel rewarded or motivated to give the best effort consistently. In fact, a broad spectrum of industries agree that rewarding some extra money to employees motivate them to work hard. According to a survey conducted by the American Compensation Association and the American Productivity Center, almost 89% of companies are offering financial incentives to the employees who performed best. Money works wonder to motivate people. Gift certificates or cash rewards can be used in a variety of ways. The employee can meet his/her short-term financial goals by using the cash reward. Money reward can motivate the lowest grade employee to perform well. Employees give their best effort to raise the productivity. Money is always a useful gift. A particular present may not be fruitful as money. Rewarding money is the simple way to appreciate the best performer. Monetary reward is perhaps the most popular motivator. But people also want to be recognized and an active contributing member of a successful team. People also want their effort to be recognized by their employer. Monetary reward is powerful, but the CEO's "handshake", or "well done" mail is also highly motivating to the employers. 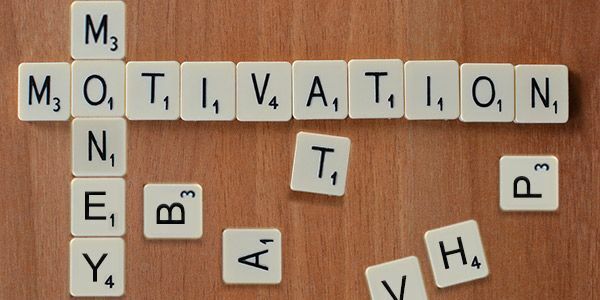 Lastly, employers should be wary of using only the monetary reward to motivate the employees, as this strategy may begin to lose its effectiveness. The employees may assume that money is valued more than anything else. Employers can implement creative ways to motivate their employees instead of giving the cash directly. For example, gift certificates to local restaurants or a weekend family trip to a local destination, can also be a great motivator. Thus, the balance will be maintained and both the employer and employees will stay happy. You may also like: Which basic factors motivate you to manage your finances?